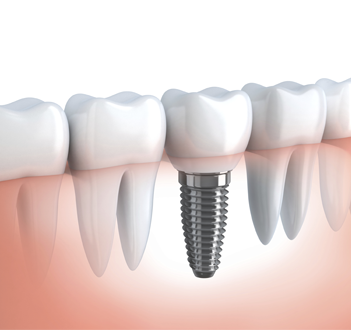 Dental implants have been effectively used in dentistry for more than 20 years as a preferred tooth replacement choice. While dental implants are commonly available through many dental and periodontal practices, not all provide patients with a choice of materials. 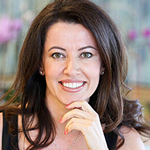 As an extensively trained dentist and periodontist, Dr. Sanda Moldovan is also concerned with giving patients an ideal dental implant experience, including consideration of any allergy concerns due to materials used in implant construction. In her Beverly Hills practice, Dr. Moldovan offers titanium implants, common to most practices; but she also offers metal-free zirconia dental implants, as an alternative material. These ceramic dental implants are similar in design to the titanium implants. While titanium has long been believed to be the stronger material, zirconia has been proven to provide an extremely sturdy material for those interested in a metal-free dental restoration. There are some other benefits that patients might find desirable from a ceramic implant also. The ceramic post is white, as opposed to the titanium, which is gray. While the implant itself lies below the gum's surface, a gray line may sometimes become visible at the gumline with the titanium. This is not present with an all-white post. Zirconia is also believed by some to be more compatible with the tissues of the mouth, including gums and bone. It is an effective surface that limits plaque buildup, which will help to inhibit gum disease. A patient looking for the most effective tooth replacement options in the Beverly Hills area is encouraged to call and schedule a consultation. At this appointment, the patient, along with Dr. Moldovan, will investigate whether either a titanium or a metal-free ceramic implant is the perfect solution for the particular situation. We treat each patient as an individual, and also with great care, as we would a member of our family. We offer a diverse menu of services not widely available in one practice, due to Dr. Moldovan's education and experience in periodontics and dentistry. We help maintain patient health by introducing only the safest products into the mouth, which is the gateway to the entire body. Contact us today to begin a journey that ensures only the best in oral care.